“Megateo” is the late dissident leader of the EPL, the group that formally demobilized in 1991. The dissident faction he founded is called “Los Pelusos” by the authorities. 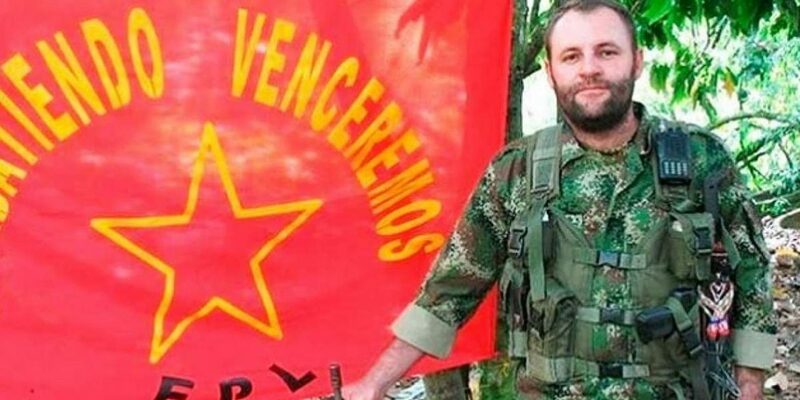 Megateo’s faction, the Libardo Mora Toro front, did not demobilize and under his leadership, quickly began to assert its self as a dominant narco-trafficking group along the Colombian Venezuela border. Megateo grew up in a small village called San Calixto in the Colombian border province of Norte de Santander. As a young boy, Megateo watched as right-wing paramilitaries tortured and dismembered his mother and younger sister. Young, illiterate, and traumatized, Megateo took part in the militia training that taught him how to provide intelligence to the more experienced guerrillas of the EPL. At the time of the demobilization, Megateo was just 15 years old. His faction was one of four other EPL factions that did not demobilize. Throughout the 1990’s these groups all suffered obstacles and setbacks. Through the turmoil, Megateo rose in the ranks of the organization, and by the late 1990’s and early 2000’s he had established himself as a figure in the dwindling armed group. Under his leadership, the former guerrillas established drug trafficking routes between Colombia and Venezuela near the Norte de Santander town of Ocaña, quickly built themselves up as a integral part of the illicit drug economy along the border. Megateo’s group is known to collaborate with other actors in the region in both the production and distribution of cocaine. Both the FARC and ELN sell him cocaine to distribute to the United States, Canada, and the Dominican Republic. In 2013, Colombian authorities uncovered 44 cocaine labs that they said were used to produce cocaine, which was then sold to Megateo for distribution. Colombian DAS authorities also suspect that Megateo controls vast swaths of land in the Catatumbo region in the north east of Norte de Santander, where his forces produce up to two tons of cocaine per month. Using a network based in the city of Cucuta on the Colombian-Venezuelan border, Megateo sent cocaine through Venezuela for further distribution to North and Central America. Megateo had built support from the local people in the region to secure his network and maintain influence. He knew who to win people’s support and to maintain their loyalty. In the remote and poor Catatumbo region, he used his drug money to provide school supplies and Christmas presents to the local children. He personally delivered provisions to elderly in remote villages. He threw parties. In a region that depends on an illicit economy, Megateo was a principal benefactor. This public support is how he was able to elude authorities for as long as he did. Megateo’s group is small compared to Colombia’s active guerrilla groups the FARC and ELN. Whereas the FARC and ELN boast memberships of 8,000 and 2,500 respectively, Megeteo only led a group of approximately 50 men. Despite this small size, Colombian authorities fingered Megateo as one of the most important drug traffickers in northeast Colombia. Megateo’s group quickly established itself with brutal force, willing to kill government personnel to maintain its lucrative drug trafficking operation. In 2006, using information gained from corrupt government officials, Megateo’s group ambushed and killed 10 members of the Colombian Department of Administrative Security and seven soldiers who were conducting an investigation in his territory. Four years later in 2010, Megateo’s group killed five national police officers in an attack that injured a dozen others. In 2013, violence was rampant in the Catatumbo region near Megateo’s operation. Bombs and bomb threats which authorities, directly or indirectly, attributed to Megateo paralyzed Catatumbo and much of Norte de Santander. Due to his proclivity for violence and the key role he played in drug trafficking, in January of 2013 the Colombian government placed, a $1 million bounty on his head. Megateo was killed in a military operation on October 2, 2015.